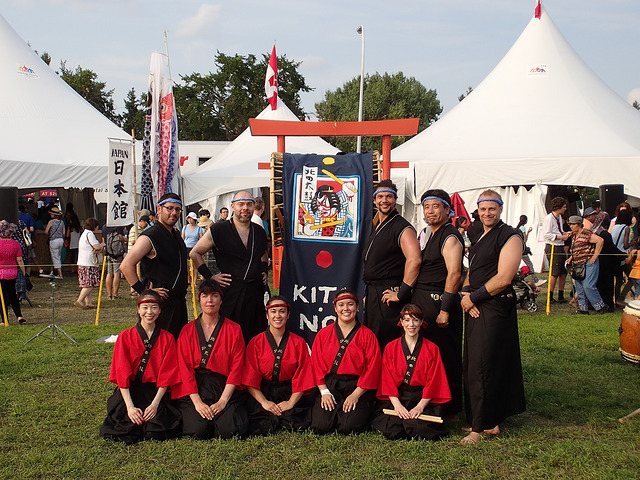 Kita no Taiko is a non-profit, volunteer based Japanese Drumming group located in Edmonton, Alberta, Canada. Our group formed in 1986. We have been honoured to play at festivals in Edmonton like the Fringe, K-Days, Heritage Festival and First Night, and at venues like the Jubilee, Winspear and Citadel theatres. We have done collaborative performances with the Edmonton Symphony Orchestra and the Calgary Philharmonic Orchestra, Citie Ballet, Shumka Ukranian Dance, Firefly Theatre and many others. In 1998 we participated in an international award winning film project by Mieko Ouchi called By This Parting. 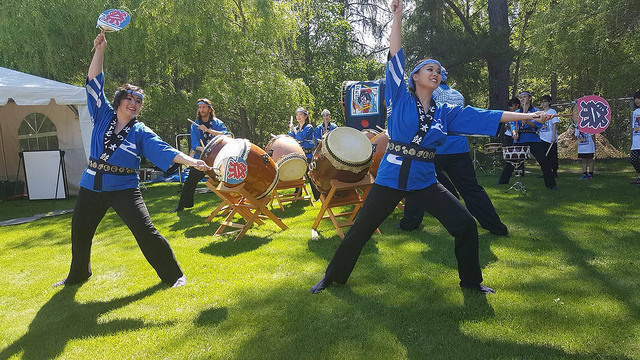 We have been thankful to have the opportunity to travel to Japan twice as a group and study with masters there, and to attend conferences such as the North American Taiko Conference where we learn from a range of teachers from around the world. 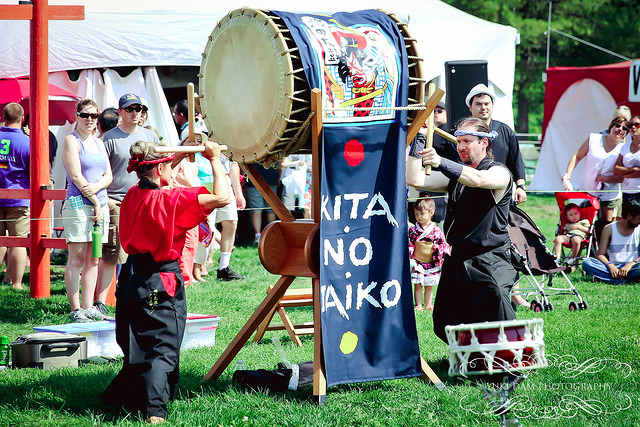 Kita no Taiko is available to hire for performances and workshops, and we hold beginner workshops, children’s classes, and recreational classes throughout the year. Taiko is a very special art in that it connects so many aspects that can better a person, and provide challenge and satisfaction to them. Some people enjoy learning the music, some people enjoy the exercise they get, and some are strengthened by the community and the friends they make. 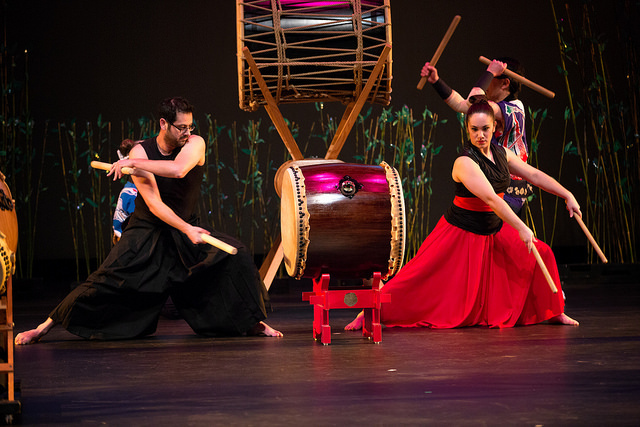 Because taiko is such a wonderfully diverse and adaptable style, we constantly have new things to absorb and new ground to break. Our goal is to continue to improve and challenge ourselves within our art. 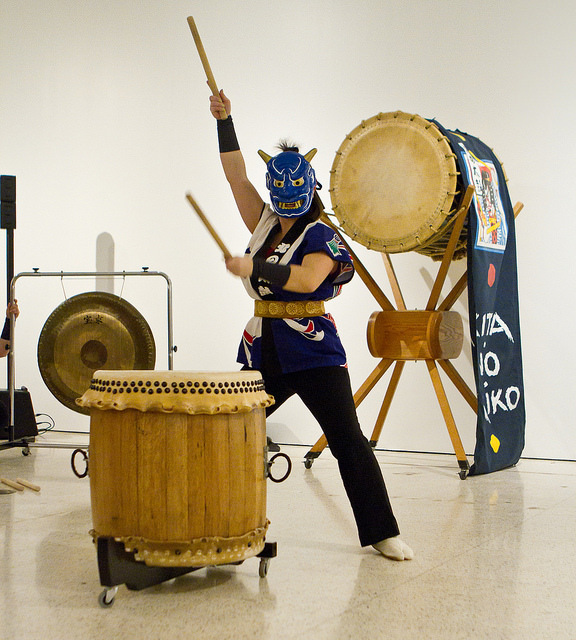 We also strive to share taiko with our community, through performances, workshops and classes. 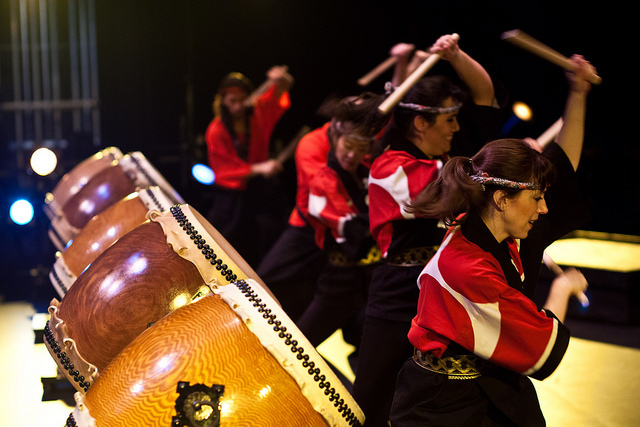 Taiko encompasses music, discipline, athleticism, movement, and Japanese culture. These are things Kita no Taiko values and wishes to share with others.